A couple weeks ago a Canadian newspaper, the Chronicle Herald, published an editorial cartoon that many have described as one of the most powerful and moving cartoons ever published. The drawing, by an artist named Bruce Mackinnon, depicts bronze soldiers stepping down from their stone war memorial platform to hold up a fallen comrade. The cartoon was published as a tribute to Corporal Nathan Cirillo, a Canadian soldier who was killed during the terrorist attack on the Canadian parliament. While on the surface this drawing is a heartbreaking depiction of the camaraderie that exists between members of the armed services, a bond that transcends death, there is in this depiction of that terrible tragedy on October 22nd, a deeper lesson for all of us. 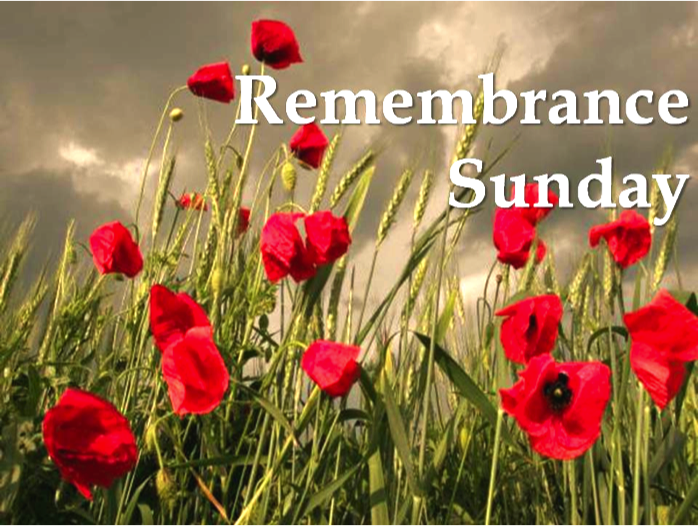 Today is Remembrance Sunday, and as 2014 is the 100th anniversary of the beginning of hostilities of the First World War, there will be services and commemorations happening at war memorials throughout the world, memorials just like the one Corporal Cirillo was standing beside. We will remember today the 5-6 million allied soldiers killed in the First World War, the more than a million allied soldiers killed in the Second World War, as well the many soldiers killed in conflicts since then: Korea, Vietnam, Iraq, Afghanistan. We name conflicts after the country they happen in now and I think in our minds we think of war as something that happens between countries. It is us and them: Allied powers verses Central powers, Allied powers verses Axis powers, the United States verses Japan or Great Britain verses Argentina. The truth is, as what happened last month in Canada was a painful reminder, war isn’t so simple anymore. Perhaps it never really was. The young corporal who was killed while on duty at that war memorial was not killed by an enemy combatant; he wasn’t killed by a foreign government or even a foreign person. He wasn’t at war with the man who killed him…not in any traditional sense. It was someone from his own country. It was someone that he had been willing to defend. This isn’t war as we like to think of it. There weren’t any negotiations or declarations and (although he was given a very dignified funeral) Corporal Cirillo’s name probably won’t wind up listed as a casualty of any specific conflict, and yet part of what makes that picture so moving is that we all know deep down that he deserves to be there on that monument just as much as those bronze soldiers do; his sacrifice is worthy to be remembered just as theirs is. I think it is important to remember on days like today when we commemorate the many heroes of major world conflicts and on days like last October 22nd when we witness the senseless death of a lone soldier just doing his duty, it is important to remember on those days that there is really only one war. There is only one war and we all have a roll to play in it. It is not the war against terror, or the world war, or the cold war. It is much older than all of those. It is a war that we have all been fighting since the dawn of humanity. It is, quite simply, the war between good and evil. The brave men and women who we honor today weren’t just soldiers in her majesty’s army, of the United States of America, or the Allied Expeditionary Force: they were soldiers in the one great battle and the one great war. The war between good and evil isn’t a war between nations as we are sometimes painfully reminded. It is a war between wills. It is a war between the graces given to us by God: mercy, courage, compassion and our own sinful desires to be covetous, fearful and hurtful. It is a war between our noble desires to defend, protect and respect and our evil lusts to steal, kill and dominate. God has given us the freedom to choose which path we will follow: we can choose to follow the path of mercy, justice and compassion, showing respect to all and defending the weakest among us, or we can choose to follow the path of fear, hatred and intolerance. Either way, ground zero in the war between good and evil is right here. Right inside our own hearts. We honor our veterans today and I think that perhaps one of the best ways that we can honor them is by looking at the choices that they had to make. When danger and evil threatened they could have succumbed to it, but instead they chose to stand up to it. On that terrible day last month, one Canadian chose to show honor and respect by defending the lives of his fellow men, another Canadian chose to show fear and hatred by taken the lives of his fellow men. We have those same choices to make every day of our lives. Do we stand up to evil, not just in the world but in ourselves, or do we allow ourselves to become the very thing we have been fighting? This morning the choir is singing two of my favorite anthems: Jerusalem and I Vow to thee My Country. These songs have been criticized when used in church settings because of their nationalistic overtones. I would say to those critics listen to the words of these songs again. Pay attention to what they are actually saying: I will not cease from mental fight, nor shall my sword sleep in my hand, till we have built Jerusalem in England’s green and pleasant land. The fight is my fight and it starts as a mental one. It starts as a mental fight between good and evil that then calls me to go out into my own country and build God’s kingdom there. This is not blind worship of a country for what it is, it recognizes that within the country itself is a struggle between the countenance of God and those dark Satanic mills; it is instead a call to action to do the work of transforming the country into what God is calling it to be. I vow to thee my country begins by declaring the love that we have for country and the duty that we have to sacrifice and protect it, but it goes on to talk of another country: God’s kingdom, and it is to that kingdom that we owe our greatest allegiance. We cannot count her armies, we cannot see her king, but her fortress is right here…a faithful heart. And soul by soul that kingdom silently increases. The ways of that kingdom are gentleness, the ways of that kingdom are peace. When lieutenant colonel John McCrae wrote his famous poem “In Flanders Fields” he ended it with this stanza: “Take up our quarrel with the foe: to you from falling hands we throw the torch; be yours to hold it high. If ye break faith with us who die we shall not sleep, though poppies grow in Flanders’ fields.” Who is the foe? It isn’t Germany, or Russia, or Japan or Iraq. The foe is much closer to each of us than any of those places. It is the same foe we have always been fighting: we may call him Satan or the Devil or the evil forces of this world, but it is the same enemy and the battleground is taking place right in each of our hearts. We may know in faith that the war is won and that the victory is ours through our Lord Jesus Christ, but we still have battles to fight each and every day, and we still have sacrifices to make. Let us catch the torch and hold it high, let us keep faith with those who’ve died.